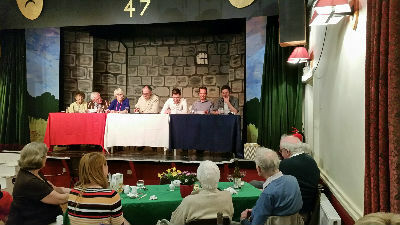 On 18 April 2018 a second ‘Call My Bluff!’ evening between teams from St Margaret’s Church and BBC Radio Cambridgeshire took place in Newton Village Rooms. This was a re-match after the one held here in 2017 ended in a draw. 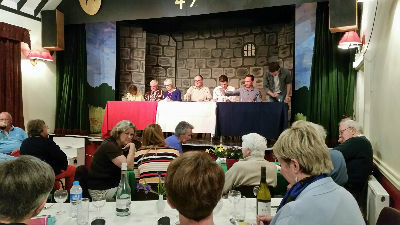 and we were pleased to welcome people from St Edmund's, Hauxton, and All Saints', Harston. 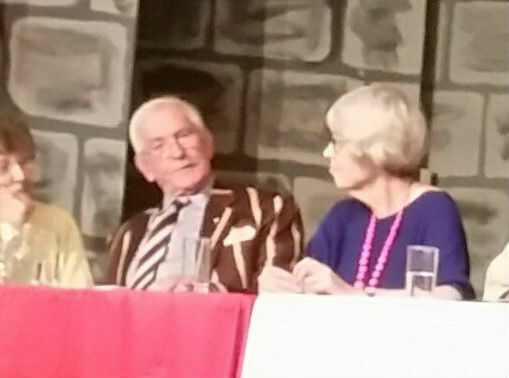 BBC Radio Cambridgeshire: Jeremy Sallis, Peter Swan and Sam Edwards St Margaret’s Church: Valerie Phipps, Juliet Short and David Short. 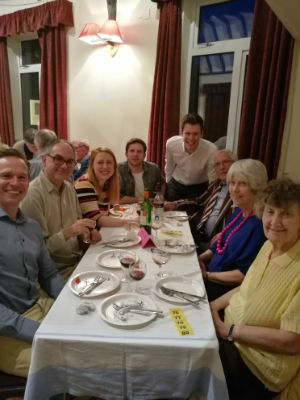 Of course, there was food, and the evening, which was again organised by Gill and Mark Johnson, raised over £500 for St Margaret’s Church. The teams refuelling at half time! "I'm not really sure about that!" This year, our visitors from the BBC won by a score of 7-5.